Amen (“truly, “verily” It emphasized the truthfulness and divine origin of the message. Ruler of God’s creation (beginning, originator): (John 1:1-3, Col.1:15-17 Jesus is the originator of creation, He rules and sustains it with his powerful word. Jesus said to the church, because you are lukewarm, I will vomit you. How many churches are making God sick with their worship services? You are wretched, pitiful, poor, blind and naked. To Smyrna Jesus said, I know your poverty, yet you are rich. To Laodicea Jesus said, you think you are rich, but you are poor, miserable, pitiful, blind and naked. White clothes to wear (white garments in Scriptures represent righteousness. This church cannot be righteous on its own, it needed to be dressed by Jesus himself). This church’s view was not the same as Christ’s view. Jesus said the church was blind and needed to get medicine to fix her sight. Those whom I love I rebuke and discipline. (Hebrews 12:5-6. God disciplines those he loves, and he punishes everyone he accepts as a son). It is by being disciplined and rebuked that shows God truly loves us. Self-dependency and self-centeredness lead to alienation from God. A church that loves God and his people. A church that keeps the faith even in the midst of persecution. 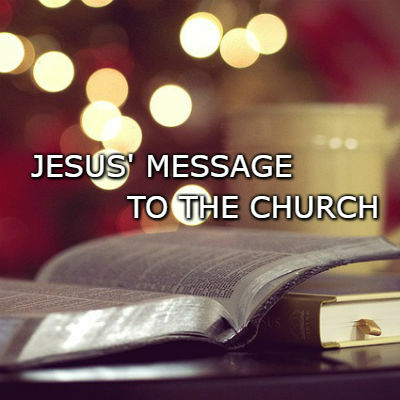 A church that holds fast to God’s word and does not deny the name of Jesus.